"I need you to understand how ordinary it all was." 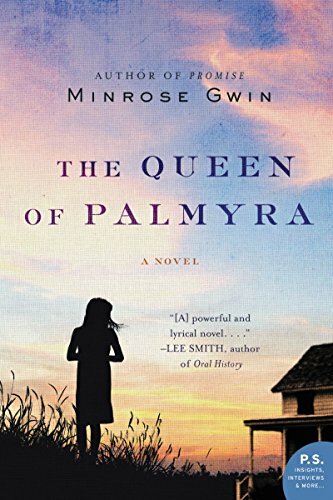 In the tradition of To Kill a Mockingbird, Minrose Gwin's haunting debut novel, The Queen of Palmyra, explores race relations through the unknowing eye of a child. It is the summer of 1963, and Florence Forrest lives in "Millwood," Mississippi, a community like others in the South, deeply divided along racial lines. Millwood proper is white. Shake Rag is the "colored" side of town. Florence's father, Millwood's burial "policy man," is Nighthawk of the local Klan. Her progressive mother, the local cake lady, drags Florence along on her secret bootlegger runs. Caught between her father's hatred and her mother's gritty rebellion, Florence sticks like glue to Zenie, her grandparents' longtime maid. Zenie, named for the legendary Zenobia, the Queen of Palmyra, thinks of the girl as just another chore but takes her on as a favor to her mother, who makes midnight runs to the bootlegger to warn the local black population of danger. As Florence spends more and more time in Zenie's home in Shake Rag, the girl comes to see the long shadow of bigotry, but nothing prepares her for what happens when Zenie's niece, the vibrant college student Eva Greene, comes to stay for the summer. And so Florence, who has moved uneasily between two families, between two races, finds herself stuck in the middle, an unknowing actor in the brutality and truth of her times. "Here it is, the most powerful and also the most lyrical novel about race, racism, and denial in the American South since To Kill A Mockingbird. Writing from deep within the belly of the beast, Minrose Gwin tells the story through the voice of Florence Irene Forrest, a girl growing up in a segregated Mississippi community where her father is a secret Klan leader while her main support comes from an African American family. A story about knowing and not knowing, The Queen of Palmyra is finally a testament to the ultimate power of truth and knowledge, language and love.